Hi, my name is Katy and I’m a Tom’s addict. 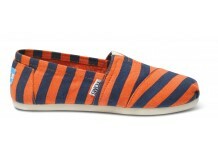 I keep finding great deals on Tom’s right now….and I keep finding super cute Tom’s that I totally HAVE to have. Plus, they are offering free shipping right now. Basically I’m set for life when it comes to Tom’s. I don’t even have to tell you how comfy they are…or how cute they are. How about I tell you about the deals first? Now let’s look at some of the cute Tom’s! November 17, 2013. Tags: Tom's! . great offer, shopping. 1 comment. Anything that smells like pumpkin! Right now I’m burning the Glad Pumpkin Spice Wax Melts in my burner. They totally smell like Fall. Fleece lined shoes. I ordered these fleece lined Tom’s and have been wearing them like slippers around the house. They are so warm and cozy. Right now you can get $20 off your Tom’s order & free shipping! Just click here to get the deal. Keurig Apple Cider. This tastes like Fall/Winter in a mug. I love it and will drink it until February! My Smart Candles. I just reset all of the timers on my battery operated candles to accommodate the shorter days. I like the cozy feeling of my candles coming on as the sun sets for the day. Orange. I am just in love with orange this season. I love it with Navy and have been wearing it like crazy. It’s a great Fall color. October 9, 2013. coupon, great offer, shopping. Leave a comment. September 14, 2013. coupon, great offer, sale, shopping. Leave a comment. 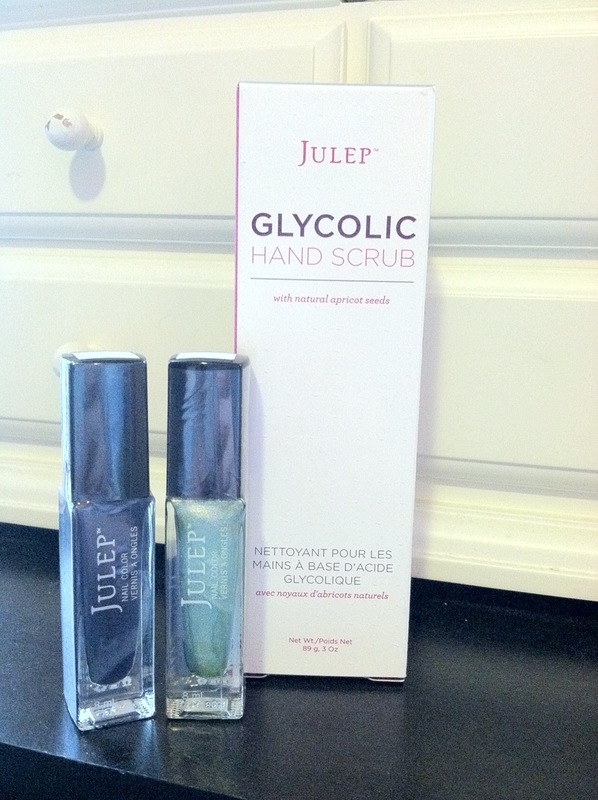 My daughter Maddie recently discovered an awesome monthly beauty subscription program called Julep. Julep has you take a quiz to discover your style, and then you become a Maven and can get personalized beauty products sent to you each month! And the best part? Your first box is free! Just use the code FREEBOX and all you have to do is pay the $3.99 shipping! I got two nail polish colors and a hand scrub in my first box and for only $3.99, it’s an awesome deal. If you refer your friends, you can earn Jules, which you can use towards free products and free boxes. If you’re going to take advantage of the free box promotion, make sure you enter Maddie’s Julep code (18056038) into the referral box when you sign up for your account! Trust me, you’ll definitely love Julep and all of the customized beauty boxes you get each month! June 17, 2013. Tags: beauty, shopping. coupon, Free, great offer, Review, shopping. Leave a comment. Wow…what a week we had! Our house (and my work) got hit by the flu. HARD. It was an epidemic. And it sucked. But, at least we are all better now. Fingers crossed that we all stay healthy for Christmas. I hope you are healthy too. Now…back to shopping. Here is a GREAT deal. You can get an 18 x 24 inch photo canvas for only $32.99 (regularly $102.99) with free shipping! If you order by today you will get this in time for Christmas. What a great gift for someone (or yourself). December 10, 2012. great offer, sale, shopping. Leave a comment. I mean it! Relax! In fact why not give the gift of relaxation this year? You can get your shopping done and get a free massage at LaVida Massage – buy 3 $50 gift cards and get a free massage. Sounds amazing right? That’s my kind of Black Friday deal! You get to cross some gifts off your list and relax at the same time. November 23, 2012. Free, great offer, shopping. Leave a comment. I love Summer. I especially love cooking during the Summer. I feel like I’m not as rushed. It is the perfect time to try out some new recipes. Have you heard about the “Best Meals Happen at Home” event at Publix? Sign up here to receive weekly recipes & coupons that can save you up to $200 this year. You can print your recipes at the site. I found one for Chipotle Ranch Taco Salad that I’m going to make tonight. The best thing about the recipes is that they can be made in 30 minutes or less. Perfect for Summer, right? Starting today June 21st there will be some great coupons available in your local Publix. Make sure to look for them while you are shopping. I love saving money on my groceries & I love trying new recipes! Sign up today to start saving and creating great meals for your family. You can also visit Publix on Facebook. To give you a head start on saving I’m giving one of you a $25 Publix gift card. To enter comment on this post. Tell me what you like to cook in the Summer or where you like to find new recipe inspiration. Or just say Hi! Enter as many times as you want. I will choose a winner on Saturday June 30th. June 21, 2012. give away, great offer, sale, shopping. 49 comments. Have you heard about the P&G’s “One List Life” promotion, available exclusively at Publix? It is an awesome deal!! Simply select any four fabulous participating P&G items and you get a FREE Rotisserie Chicken! Click here for the list of items included in this promotion. I am clipping my coupons as we speak and heading to Publix tomorrow to pick up my free chicken 🙂 If you have your P&G coupon flyer from the January 29th newspaper you will find coupons for many of the eligible products. You have until the 29th to take advantage of this great promotion. February 23, 2012. great offer. Leave a comment. September 13, 2011. food, great offer. Leave a comment. Do you use foursquare to “check-in” to all of the places you visit? If you don’t you are probably wondering why anyone would want to let people know where they are. Sounds like a waste of time, right? Wrong! There are great deals that you can get at a ton of places just by checking into their place of business. Yesterday I received 15% off my entire order at American Eagle Outfitters by showing them that I had just checked in. Score! At RaceTrac gas station you can get a free French Toast Taquito or Monterrey Jack Chicken Rollerbite everyday when you check in, at Chilis you get free chips and salsa when you check in. There are so many deals to be found on foursquare! June 30, 2011. great offer. Leave a comment.